Happy Good Friday everyone!!! It's my 12th day of #LUCYS Challenge. Today I'll be showing you what products that I use for the LUCYS Challenge, a lil' bit of review for every products. I just want to share what I think about the products and what changes they give to my skin. 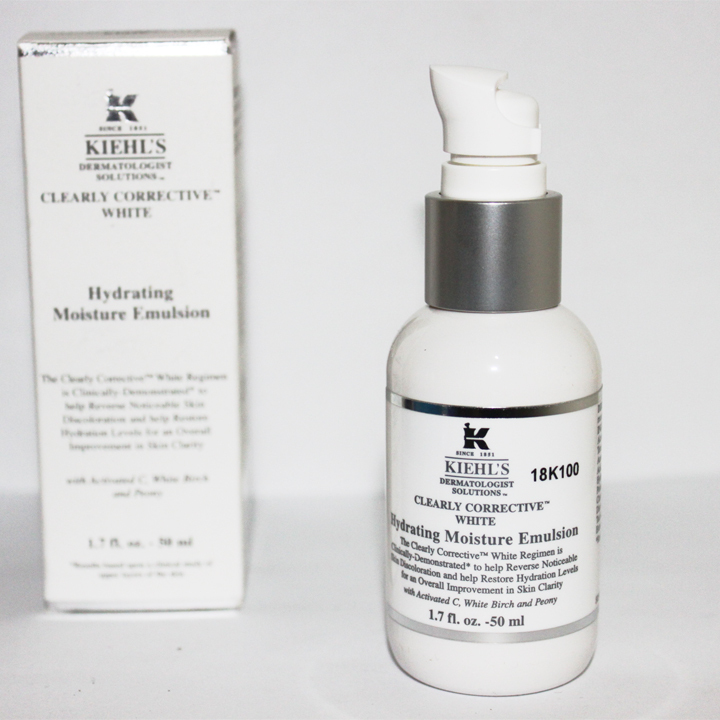 I love this cleanser! Its so gentle on the skin, and doesn't make my skin feel dry. I use this twice a day to clean my face. If I have makeup on my face, I'll remove it first with makeup remover and cleansing oil before using this cleanser. 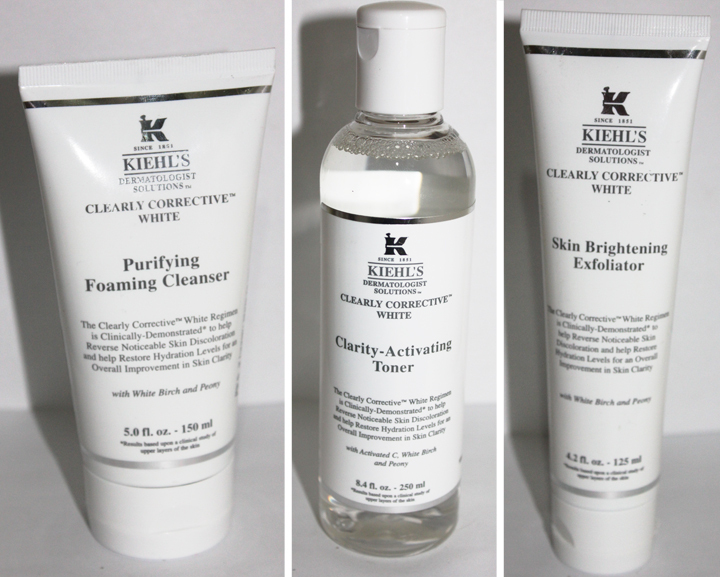 Recommended if you're looking for a cleanser that helps to brighten up your complexion. I use this after I wash my face. The toner is really mild on the skin, really soothing and relaxing. It really helps to clean the excess dirt. The KCR said that I can use this exfoliator everyday, because even though it is exfoliator, the scrubs are really gentle so its really safe if you want to use it once a day. However, I use it only once every two days to remove dead skin cells, say BYE to dull skin! I've spent most of my days staying up late doing my papers and thesis, and ended up looking like a panda in the morning because of my dark circles :( That causes me look years older than I actually am, ugh, I hate it! But I can't help it, there are so many things to do and I have to finish them on time as scheduled! But I never had the same problem after I use this eye cream. 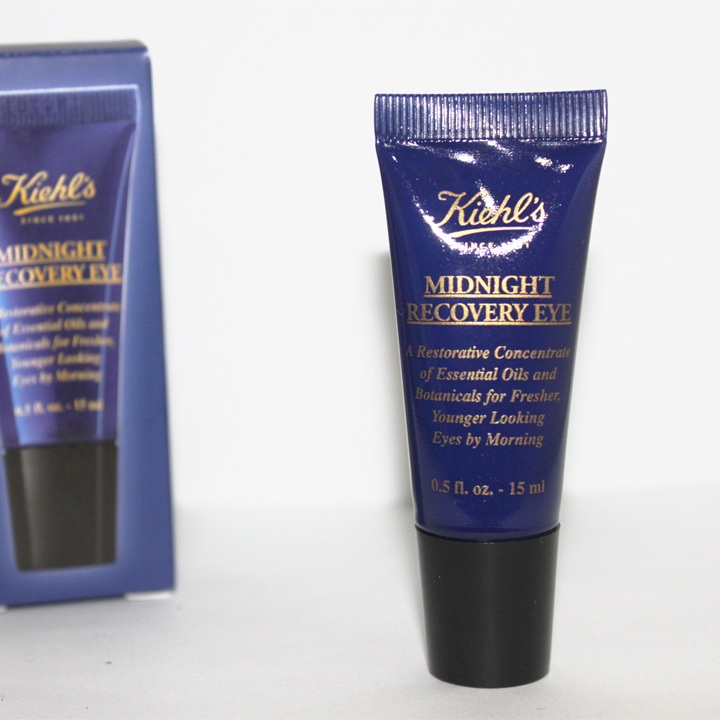 This eye cream is really thick and creamy, I apply it after I use my toner, put it on my orbital bone with my ring finger and I will look fresh in the morning! Unless you've been living under a rock for the past years, you must have known about this infamous serum already! Everyone loves this, everyone raves this, everyone recommends this! And. Oh. My. God. This serum is absolutely amazing, this is the product that I've been waiting for my whole life. I've always wanted to buy this serum, but I still have at least 4 or 5 bottles of serum and I don't want to waste any product, so when I got a chance to try it, I was like "YAAAYYY!" the whole day. I use this twice a day after my eye cream. All I have to do is pat this serum all over my face, and I put more products on the problematic area and massage it with my finger for couple of seconds. Two or three drops of this serum is enough for my whole face. 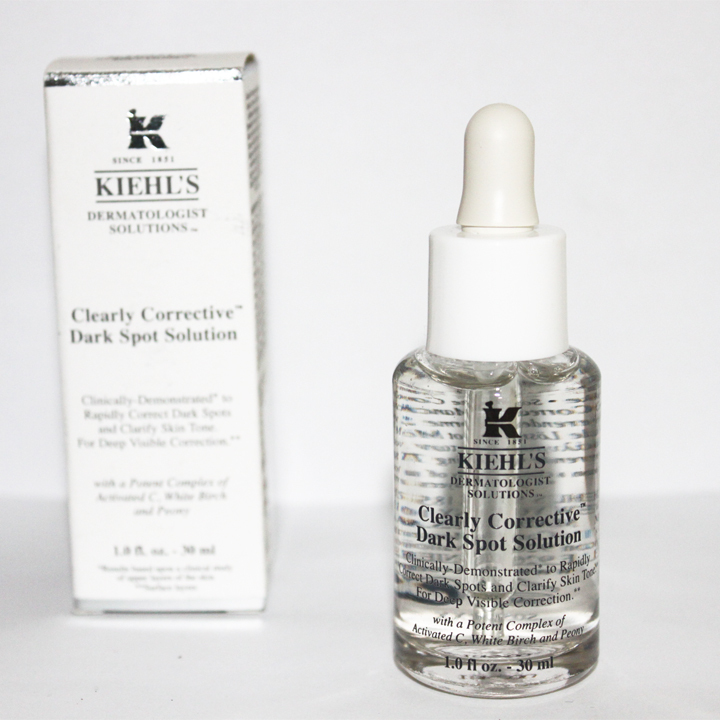 It really helps lighten up dark spots, the perfect serum for the skin problem that I have. Because I have oily skin, I only use one pump of this moisturizer for my whole face, because if I use too much of this product, my skin will look greasy. This moisturizer really hydrates my face during the day. Always protect your skin from UV light with sunblock. The one that I have is BB Cream, so it has tinted color in it, not too much coverage which I think is perfect for everyday. It has SPF 50 PA+++, so I don't have to apply my sunblock, I love a two-in-one product like this heheh! 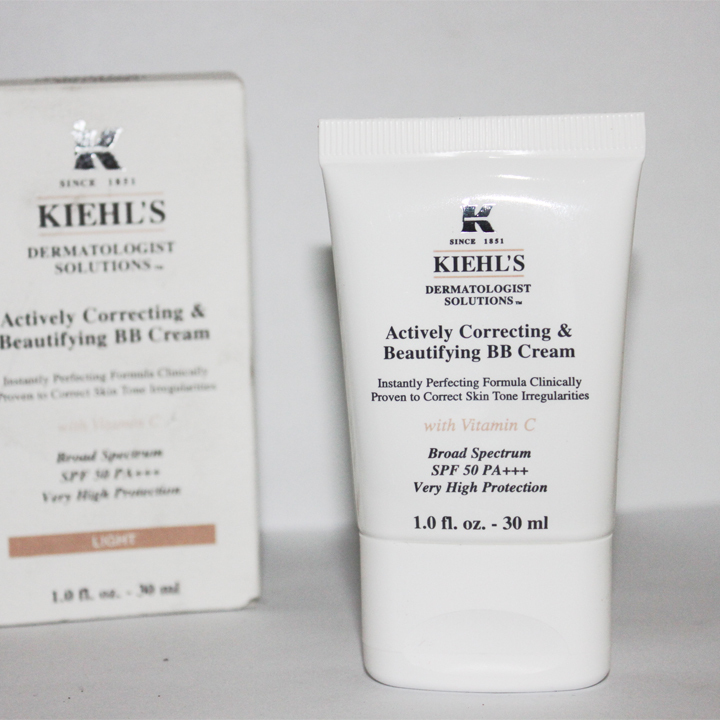 This is by far the BB Cream that has highest SPF that I've ever encountered, because most of BB Creams only have SPF 30. Even though it has SPF 50, the formula is not sticky at all! If you like dewy finish, you don't have to top it off with powder, but I prefer to use powder on top of this BB Cream because I have oily skin. If you have any question regarding all of these products, please don't hesitate to ask me via comment form or email me because I'd really glad to help. And if you want to try out some of Kiehl's products and get 5 minutes skin consultation FOR FREE, kindly check this link (click here).